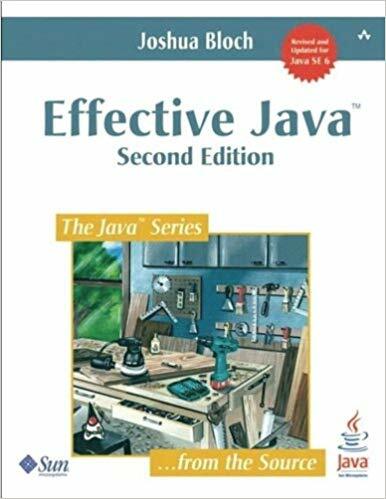 THIS book is designed to help you make the most effective use of the Java™ programming language and its fundamental libraries, java.lang, java.util, and, to a lesser extent, java.util.concurrent and java.io. The book discusses other libraries from time to time, but it does not cover graphical user interface programming, enterprise APIs, or mobile devices. This book consists of seventy-eight items, each of which conveys one rule. The rules capture practices generally held to be beneficial by the best and most experienced programmers. The items are loosely grouped into ten chapters, each concerning one broad aspect of software design. The book is not intended to be read from cover to cover: each item stands on its own, more or less. The items are heavily cross-referenced so you can easily plot your own course through the book. Many new features were added to the platform in Java 5 (release 1.5). Most of the items in this book use these features in some way.